I’m lucky enough to work for what I think is the best company in the world. Here’s a selection (with some local flavor) from my colleague/teammate/friend Chris Finke’s reasons for why you should be working at Automattic too. I sometimes tell people that it was the Happy Cog Blogger template project that got me into theming. Specifically one blog post about it by one of the designers that made me think, “Whoah! Theming for thousands of people is a really cool design problem that I’d love to tackle!” Of course, I totally forgot what that blog post was and never mentioned it anywhere that was easy to retrieve. Like a blog. This was a full two years before I started blogging so maybe I can excuse myself that way. Anyway, it turns out it was two blog posts that inspired me. Dan Rubin’s post puts into words something that I still find exciting about theming. 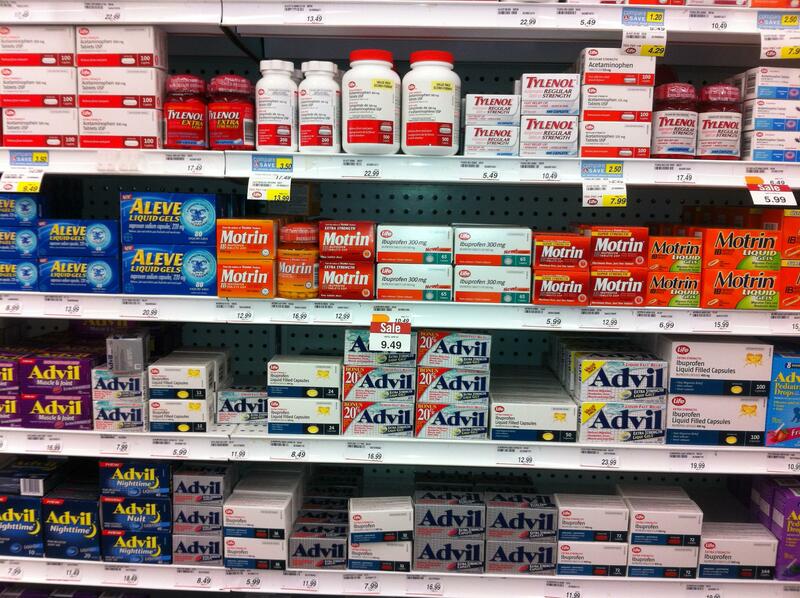 The num­ber of peo­ple who will make use of these tem­plates is astound­ing (it’s already started), and the web is going to be a much bet­ter place for the effort (just think of the hun­dreds of thou­sands of sites that will soon be using well-designed standards-based markup!). And the trick, according to Dan, is still the same. Design some­thing visu­ally fetch­ing, but not too per­sonal (the pri­mary func­tion is a reusable tem­plate, which might dis­play many dif­fer­ent types of con­tent), yet indi­vid­ual enough to inspire some­one to actu­ally use it. There’s maybe less excitement in Dan Cederholm’s post about his TicTac template but it’s his concern over the header that I remember the most. Extra care was taken to ensure the design would be flexible enough for any amount of content at any text size. For example, the header uses a vertical version of the Sliding Doors technique (sliding windows? ), where if the Blogger user has a long site title, or if the user bumps up the text size, the header graphic (separated into two pieces) willl “spread apart” to accomodate it. I thought this was just amazing in 2004. I still do. It’s one of the central concerns of any good WordPress themer. Making sure everything just works for bloggers. It’s never boring. Douglas Bowman’s white “Minima” layout for Blogger, used by literally millions of writers—and it feels like it was designed for each of them individually. That is great design. New York is one of those “life list” destinations for me and, thanks to the Automattic Theme Team meetup, here I am. If you have any “if you’re only going to do one thing in New York in January do this one thing” things let me know. We’ve got some time set aside on Saturday for doing some of those things. I finally tried out Notational Velocity just recently. It’s rapidly turning into an app I’m not sure I could go without. If you make a lot of plain text notes for yourself and wish they were magically organized and easily searchable check it out. The following — the Automattic creed — is sent out to every employee in their offer letter. You have to sign your name right next to it. Before starting work. 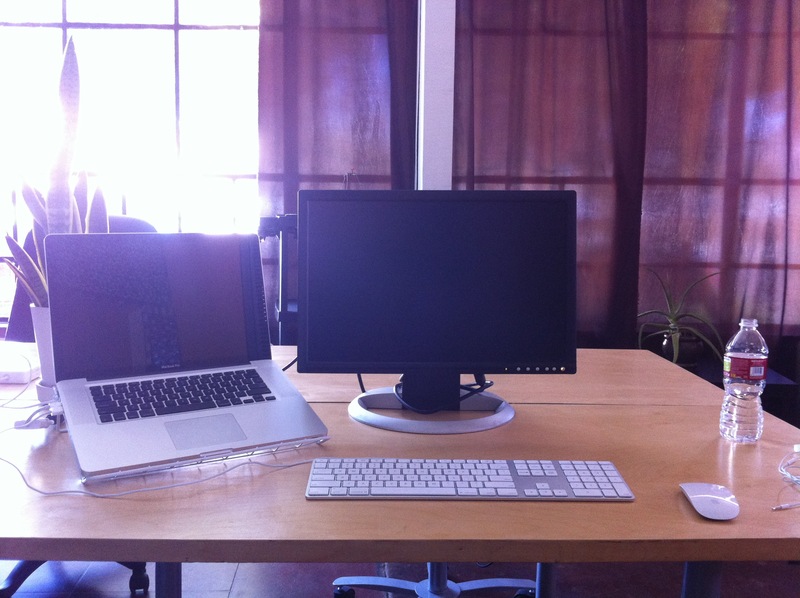 Matt’s whole post on it is a must read: Automattic Creed. I’m speaking at WordCamp San Francisco this year! It’s my first time out there and I’m super-excited. My presentation hasn’t been officially announced yet but if you’re there (or not — everything will be recorded) expect to probably hear me ramble on about WordPress Post Formats and how awesome they are. … so I’m at the library. There is some serious Facebook checkin’ happening here right now. Yesterday I saw a man studying a Quiznos advertisment that had arrived in his Hotmail inbox. Studying it. I hope to be somewhat more productive. 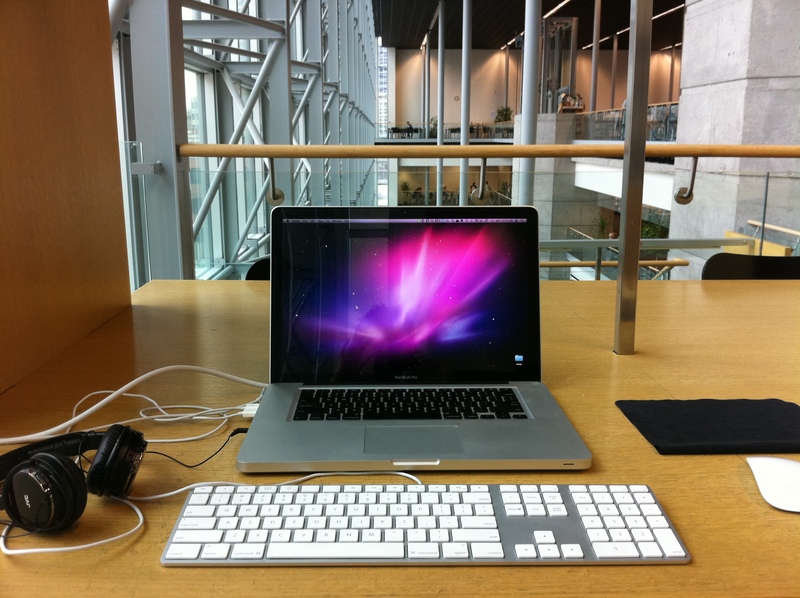 Here’s my temporary office at the Millennium Library. 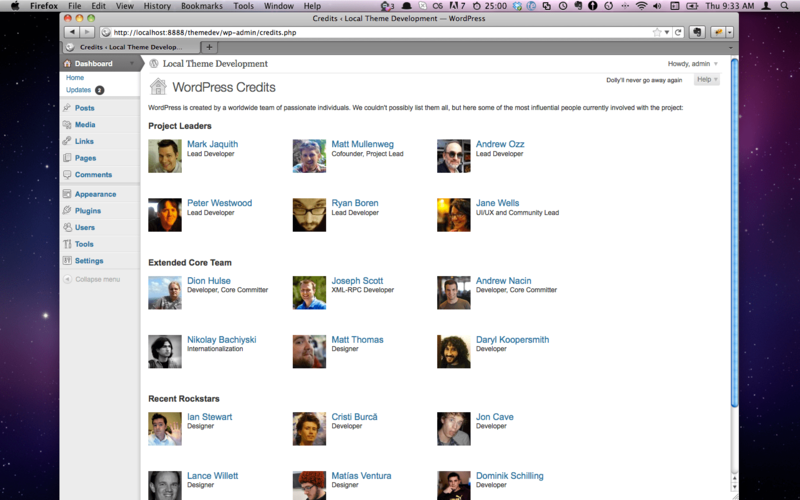 I’m super-honored to be featured as a Recent Rockstar on the credits page for WordPress 3.2 alongside my teammates Matías and Lance and a whole bunch of other awesome people. Thanks, WordPress Team! Want to see your name in lights on this page? Get involved in WordPress.